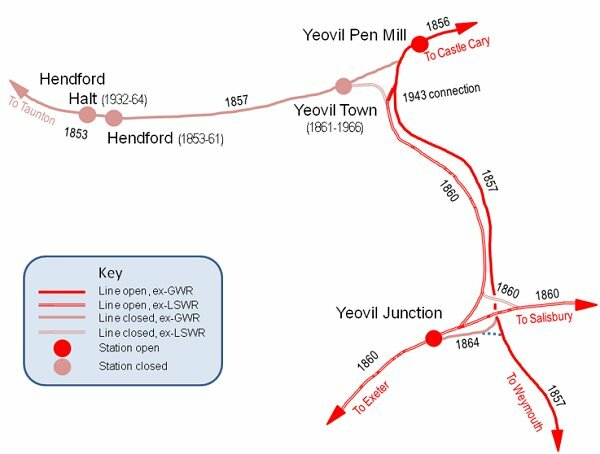 The first line to reach Yeovil was the Bristol and Exeter Railway (B&ER), as a branch line from Taunton via Durston, Langport and Martock. It had a terminus at Hendford and Hendford Station, Yeovil’s first railway station, was opened in 1853. Industrial businesses developed in the area around the Hendford railway goods station, especially Westlands, to such a degree that Hendford Halt was opened on 2 May 1932 for passengers. The Beeching cuts refer to the reduction of route network and restructuring of the British railway system outlined in two reports, The Reshaping of British Railways (1963) and The Development of the Major Railway Trunk Routes (1965), written by Dr Richard Beeching and published by the British Railways Board. The first report identified 2,363 stations and 5,000 miles (8,000 km) of railway line for closure, 55% of stations and 30% of route miles, with an objective of stemming the large losses being incurred during a period of increasing competition from road transport; the second identified a small number of major routes for significant investment. National protests resulted in the saving of some stations and lines, but the majority were closed as planned and Beeching's name is, even today, associated with the mass closure of railways and the loss of many local services in the period that followed. 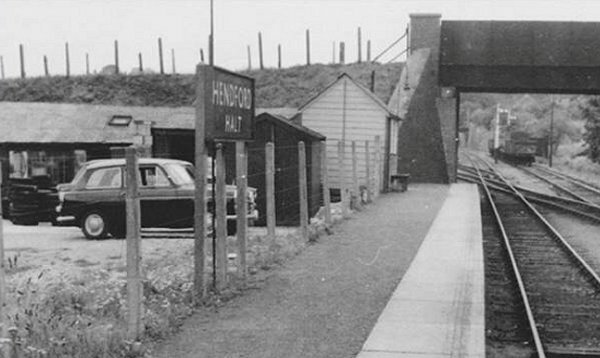 First of Yeovil's stations to go was Hendford Halt which was closed on 15 June 1964 along with the line to Taunton. 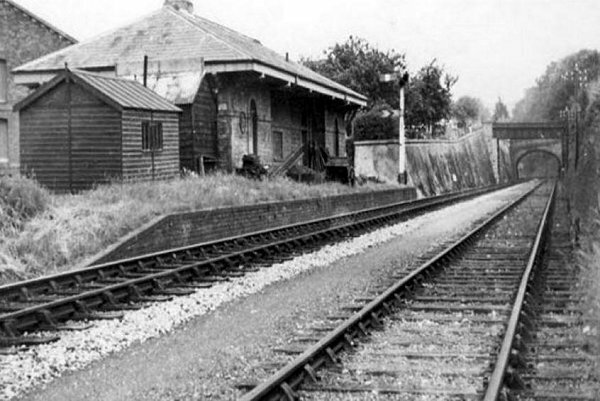 Hendford Halt photographed in 1967. Hendford Halt, photographed around 1950, looking west. 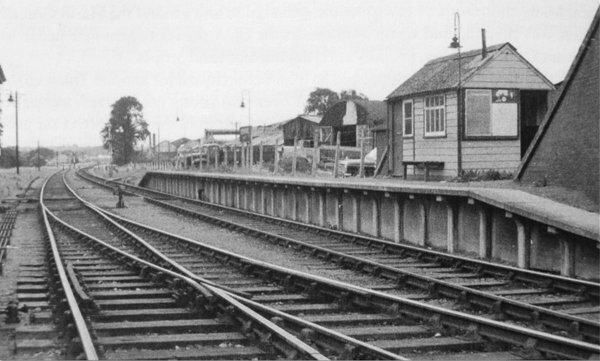 .... and looking east in 1963. 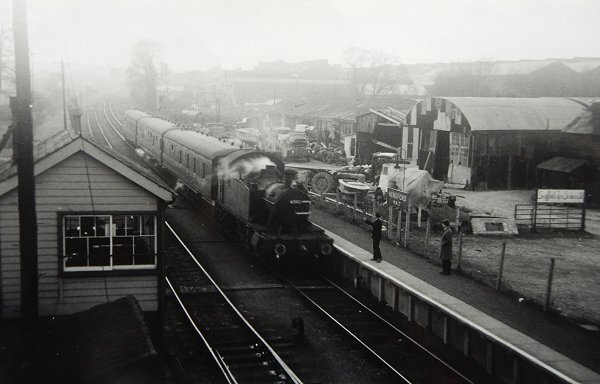 This photograph of Hendford Halt was taken in 1964 from the bridge seen in the previous shot. A GWR locomotive waits at Hendford Halt in the late 1950s / early 1960s. 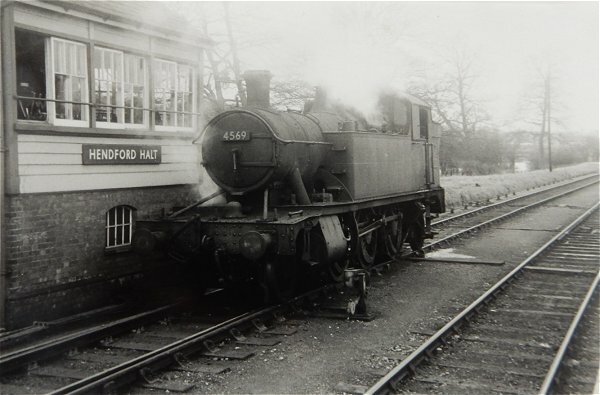 Hendford Halt, photographed in 1963. 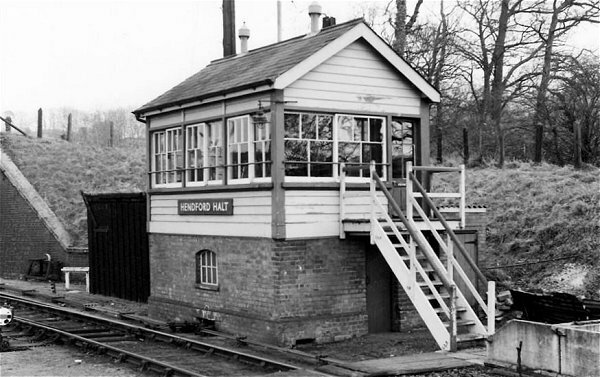 The Hendford Halt signal box.